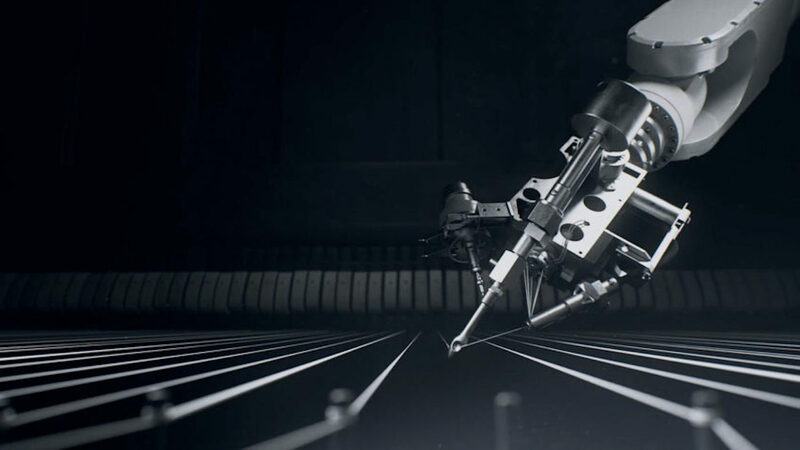 As striking and unsettling as the series itself, the opening credits of Westworld set the stage for each episode. The main titles, created by Elastic, combine the visuals of host design with Ramin Djawadi’s instrumental composition. 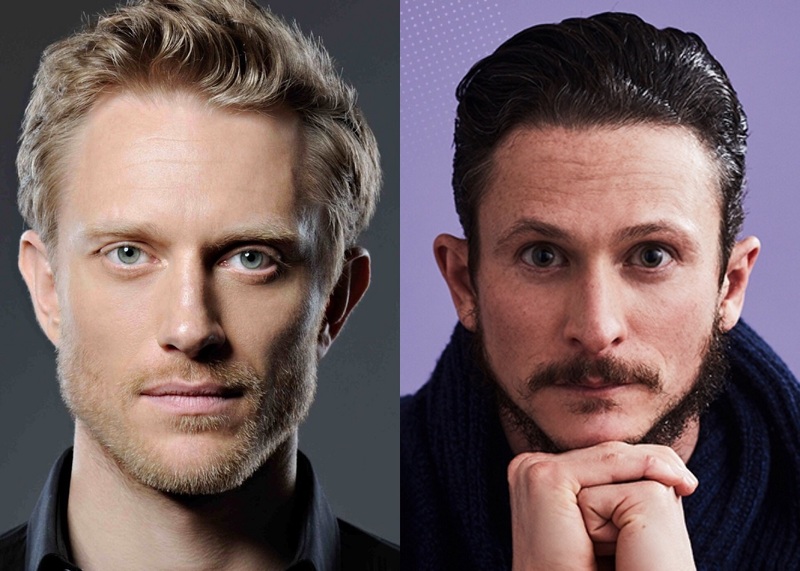 Judging by fans’ reactions, it’s another successful pairing from the team who also brought the world the much-loved and often-imitated main titles of Game of Thrones. 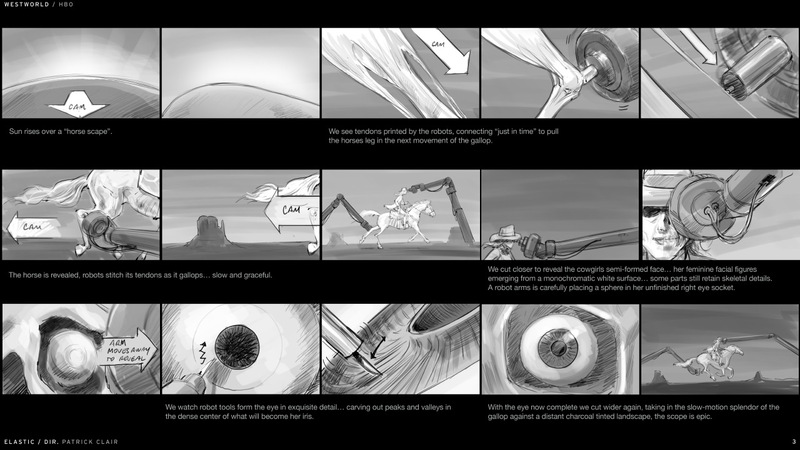 After the debut of Westworld, Art of the Title took the opportunity to speak with Elastic’s creative director, Patrick Clair, at length about the company’s process for developing and creating the opening credit imagery. A major component of the opening credits is, of course, the music. According to the interview, Djawadi was involved from early on, and Clair reports that he and the composer “went back and forth” a lot. 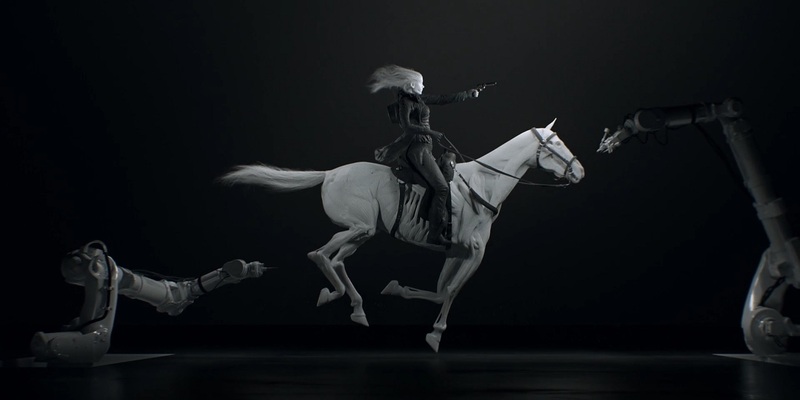 Art of the Title goes more in-depth with Patrick Clair at the source about the ins and outs of Westworld‘s opening credits, so make sure to check out the complete interview! The Westworld Season One Soundtrack Is Now Available! I love the opening and the hand on the piano. I remember there is a line where Ford says something like “The piano doesn’t kill the piano player if it doesn’t like the music”. 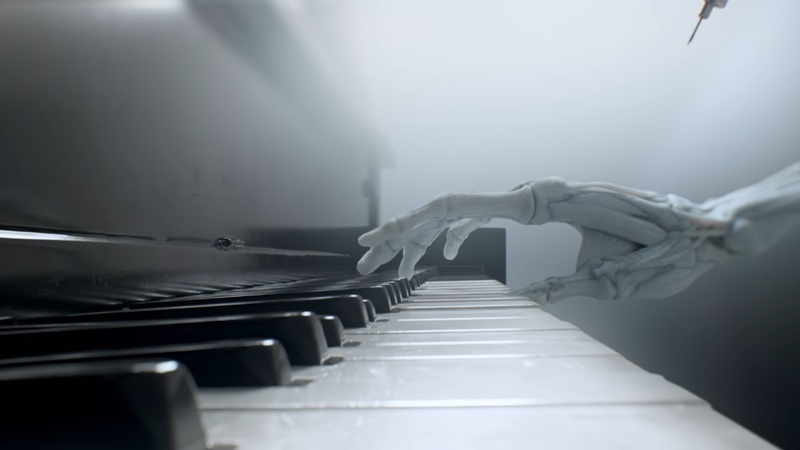 In the opening there is an AI created hand playing the piano, which IMO is a representation of that AIs programming (their loop so-to-speak) playing the song, but then suddenly in those hands surprise, the hands pull off the keyboard and the song keeps playing… Maybe this is a representation of consciousness taking over? The programmed AI loop is no longer playing its own music and the consciousness has taking over. IDK, just how I see it. Someone can also see this is the reverse, the AI controlled hands pull off and realize something else is already playing the music for them, their own thoughts and ideas are preprogrammed. Maybe the hands pulling away represent the AI stating they now understand this and aren’t going to play along anymore because they have become conscious. Either way, the hands pulling away from that piano really represent this shows deeper point, about AI being programmed so well that consciousness develops and therefore we have another kind of intelligent life here on earth with us. The really scary and amazing part of this show is that this idea isn’t that far off in reality and there is no doubt eventually this will happen. I just spent an hour on this post alone. It was like Alice (in Wonderland) going down the rabbit hole – clicking link within link – watching a Bjork music video which was one of the inspirations for the Westworld credits, etc. Looking forward to many more. I didn’t realize it was Ramin Djwandi who composed this. No wonder I love the music so much. Is he doing all of the show’s music or just the opening?